University of Wroclaw International Students Drums and more Orchestra is a unique project created by international students of the University of Wroclaw. The Orchestra is not only a creative way to spend time, make music or promote the beauty of various cultures but also a striking metaphor for social life. 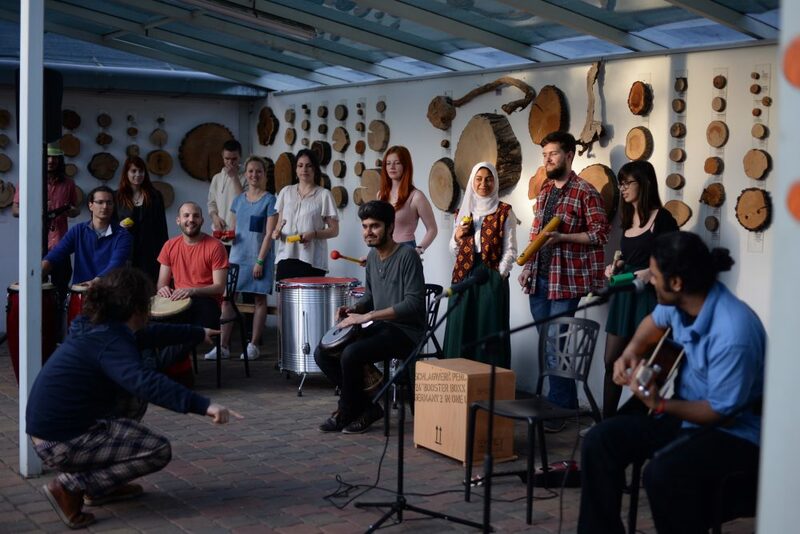 This project offers concerts to promote ethnic music from the different countries our members come from as well as educational lessons for children and young people, workshops and meetings with musicians and various other artists. The character of the project allows for lessons in personal and social responsibility and practices skills and measures such as group work, management of international projects, inter-cultural dialogue, leadership within the framework of common good, creativity and self-development in an international context.